Both kids and adults love to enjoy the pool during the summertime. Whether you want to sit in the sun and simply relax or you are looking for a great way to keep kids entertained during the summer, we can help you create the perfect pool area. 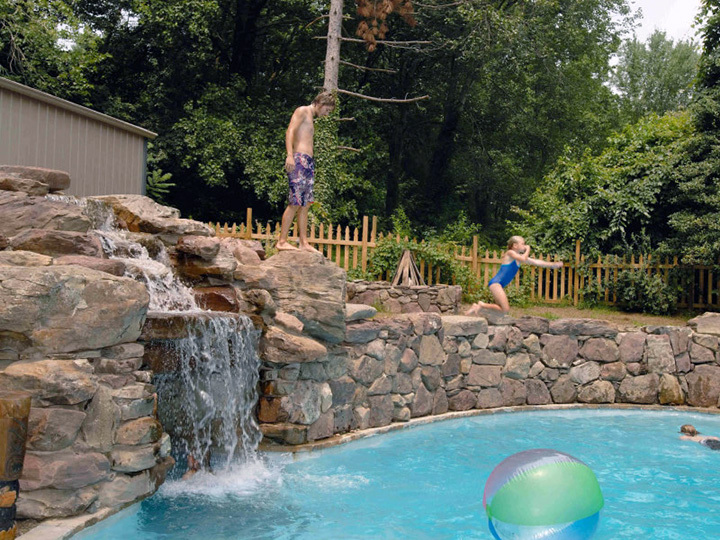 Jump rocks are a great addition to your pool space, creating extra beauty to your landscape while also providing kids a fun way to play in the pool. With the right materials, your jump rocks can make your pool look like a natural spring right outside your back door. We help you select the right rock type and design for your diving rocks so they fit in seamlessly with your patio or surrounding gardens. You can also place them as-is for cannonball fun. Besides adding another fun element around your pool, your jump rock platform is the perfect place to add in falling ivy or showcase a flower garden, create a beautiful pool focal point. We make sure your diving rocks are beautiful as well as safe and secure. Contact us today to have custom made pool jump rocks and many other unique landscaping elements designed and installed in your Annapolis, Maryland yard.